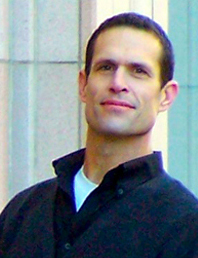 Brian Setencich is a General Manager with First Service Residential, a property management company in San Francisco. He has a background in public service, beginning on the Fresno city council. He was elected to the California State Assembly where he spent time working on issues that are important to all Californians. He then went on to work for the 911 Emergency Response Project for the City and County of San Francisco, ensuring that all citizens had safe and effective access to emergency services. After working in public service, Setencich made a move into the private sector. He managed Market Square, a major development in San Francisco. Brian Setencich played professional basketball, developing his knack for teamwork. He has been involved with fundraising for Valley Children’s Hospital as the Donor Research Coordinator. Another charitable project includes volunteering for animal rescue organizations. Setencich is a seasoned businessman and deeply connected to California. His business experience and charitable endeavors enhance the San Francisco community. My hobbies include exercise, reading and cooking, albeit simple cooking. I taught myself to cook. I have always been interested in simple healthy food. My palate is very simple so I wanted to make simple healthy dishes that were still tastey. Since I’ve been cooking for several years now, I feel like I can a variety of dishes that are simple, healthy and still taste good for others who try them. Cooking is a great way to relax. When I’m in the kitchen, I stop worrying about work and other obligations. I love putting a great meal on the table for friends and family. Whenever I eat out, I take note of ideas to try in my own kitchen. Are there any groups that you’re a part of or events that you attend related to your hobby? I enjoy attending some cultural food festivals. Not only is the food good but it’s a good way to learn more about different cultures and have fun at the same time. Have you had to invest in any equipment? If so, please share the things you have purchased. Well, not too much but when I do,I try to avoid buying things that have only one purpose. For example, instead of specialty cutters and slicers, I have invested in a good quality set of chef’s knives. I’ve bought supplies at and Williams Sonoma. They always have a creative assortment of products, and the higher price is worth it in terms of quality. I have also purchased some things at the local hardware store, which has a surprisingly good assortment of things. Cooking is a fantastic hobby because I can use it every day. It’s brought me a lot of confidence and has also taught me a lot about the world through various cuisines. Sharing food with my friends is so satisfying. Cooking also teaches patience and the ability to follow directions. Baking is more precise than cooking. When you’re cooking, you have the ability to improvise a little more, but with baking, you really have to follow the base recipe or you’ll come up with something strange. Don’t be intimidated. Start small, using basic recipes, and work your way up. Before long, you’ll be cooking big meals for everyone to enjoy. I do have a piece of cooking-specific advice. Clean as you go along. If you clean as you go along, you won’t be left with a messy kitchen at the end. I enjoy reading and staying fit. I played basketball professionally when I was younger but now I just like to shoot baskets by myself if I have a little time.